Although the reboot to "Godzilla" 2014 received rather mixed reviews, but the global revenues of over 500 million US dollars were persuasive enough to bring a sequel on the way for the studios Warner Bros. and Legendary Pictures. Since "Godzilla 2" is still in a very early stage of development, unfortunately the information is currently scarce. Even the ultimate title is currently not foreseeable, and therefore "Godzilla 2" could be just a placeholder. "Godzilla 2" will be the 32nd film about the huge monster, and 64 years after the first appearance in Japan in 1954. 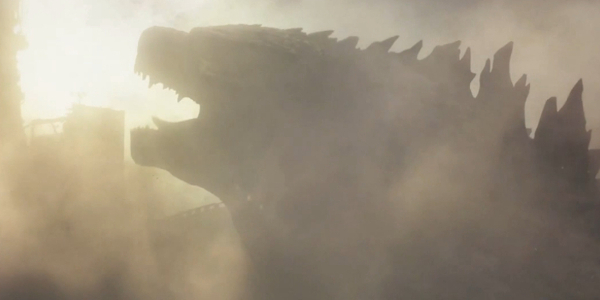 The main criticism of the fans in the predecessor of "Godzilla" was the low screen time of the title character. Not even eleven minutes was to see the object of desire. Barnaby Legg, the spokesman of Legendary Picutres, commented at the Comic Con in 2015 on this issue and assured that the studio is conscious. One wants so the fans in Sequel give exactly what they hope for. In a similar vein also the scriptwriter Max Borenstein goes. According to him, the first part was mainly there to establish the world. Since this happened, one can now "make bigger and even better things" in the sequel. An official synopsis has not yet been released, but since the 2014 Comic Con at least we know with whom to Godzilla in its latest film has to be measured. At that time was in fact already a teaser shown, which should act by the signature style so, as the video footage had been compiled in the '60s. This was to be heard from off the voice of the former US president John F. Kennedy, who spoke of the dangers to which humanity must face. Then the silhouettes of some monsters have been shown and the respective code names of the creature. The teaser was ended with the prediction that a conflict would be inevitable, followed by the recommendation "Let them fight". The name of the monster is expected - not only fans of the old Godzilla movies are familiar with - at least partially. Rodan, Mothra and King Ghidorah called the antagonist of the sequels. When Rodan is a pterosaur, the moth Mothra is certainly the most a term and King Ghidorah is a three-headed dragon monster. The same hugely constellation already existed in the 1964 "Ghidorah, the Three-Headed Monster." It was the last movie of the Godzilla series, in which the titular creature appears vicious and causing damage and also the first in which he fights against other monsters and so humanity protected. In addition to the writer Max Borenstein, director Gareth Edwards will also return. Although Edwards has currently busy with "Star Wars Rogue Anthology One." but the film is scheduled to hit theaters end 2016, so he has enough time to engage in "Godzilla 2". Who will return for the human cast is currently pure speculation. Especially, Elizabeth Olsen who is unlikely to return due to her involvement in the Avengers from Marvel and also Aaron Taylor-Johnson has certainly made a name in Hollywood which offers him access to some projects.